I mentioned earlier today that stripes were like a neutral print. Well, that makes this purse fun, yet totally versatile, easily matched to all your outfits! Plus it feels nice and summery, don't you think? 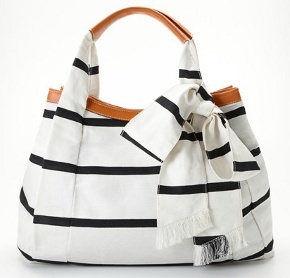 Buy at Ann Taylor for $178.